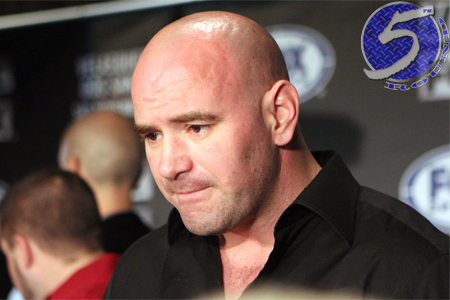 UFC president Dana White (pictured) has always been cautious when it comes to signing unique talent because he doesn’t want his product to become a “freak show.” Brock Lesnar and James Toney got opportunities in the octagon, but Herschel Walker didn’t. Brooks is 36 years old and has exactly zero professional mixed martial arts bouts under his belt. So, is studying Brazilian jiu jitsu under the Gracies for several years suddenly good enough to get into the big leagues? But this is the UFC, the premier MMA promotion on the planet. Brooks has NO REAL FIGHTING EXPERIENCE. White completely understands why people are leery, because he is too. “I’d say I agree with everyone one of those things you people just said,” White said of all the reasons Brooks shouldn’t be joining the UFC. “I’m absolutely skeptical. Who knows? You don’t know unless you try. You don’t know if the guy can fight unless he fights. If you didn’t believe the UFC was in desperate need of true superstars before, then this move makes it abundantly clear. Why they signed Brooks is obvious. Should they have done it is a whole other question. According to White, it will be at least another six to seven months before his latest acquisition steps inside the cage. Brooks first needs to find a team that can help him learn the game. Like it or not, MMA fans, CM Punk is here. And I can guarantee you’ll be tuning in.